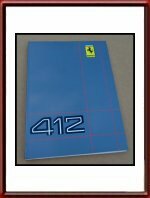 Ferrari factory original 1986 Ferrari 412 Owners Manual. 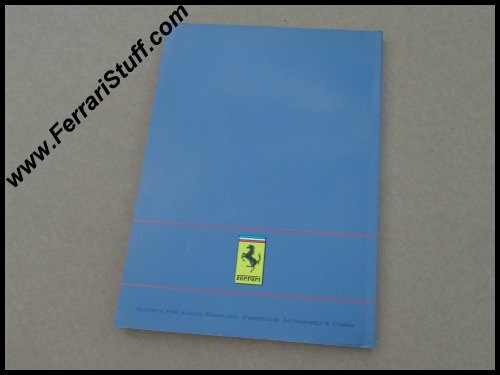 This Ferrari owners manual contains 110 pages describing the owning, driving and simple maintenance of this Ferrari. 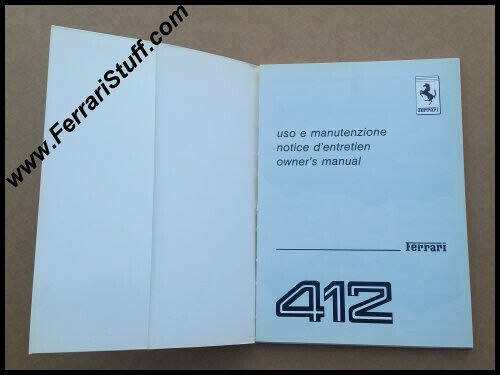 Ferrari Print Number 417/86, issued in 1986, printed by Grafiche Rebecchi, Modena, Italy. 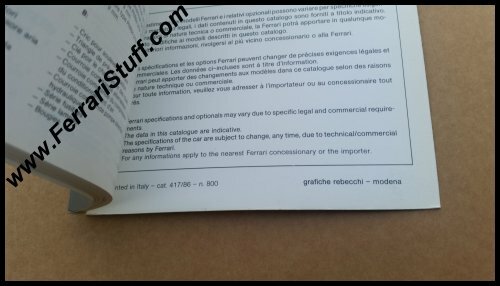 New & unused (New-Old-Stock !). 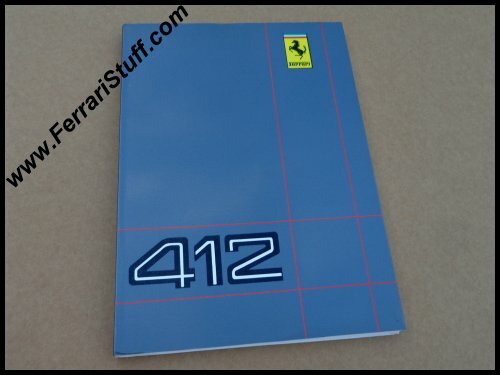 These manuals have a glued binding and as the glue comes of age, it becomes brittle and loses its adhesion. 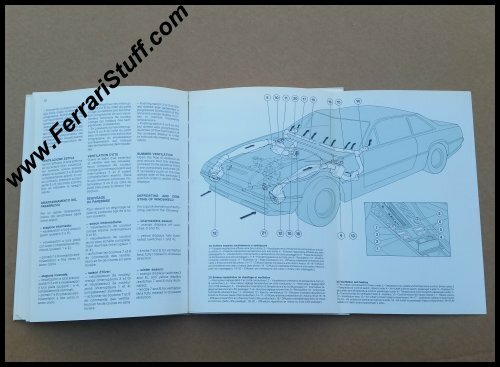 This manual is no exception to that, as visible in the second photo. The binding is still attached though but weak. Other than that, it is in near perfect condition.